Gulf Energy, a privately held energy company, announced it has made a strategic investment with its partners in an oil and gas oilfield-development project in Kentucky, USA. Driven by the competitive oil and gas prices, the UAE based firm will contribute to financing the operation of 12 oil wells, estimated to contain nearly 1,000,000 barrels of proven oil. “We are delighted to announce our latest investment in the U.S. oil and gas sector, which is in line with our objectives to establish strong assets in the North American market. We are confident that this development project will deliver strong returns to our partners and investors,” Chris Tate, Managing Director of Gulf Energy, said. Spanning an area of 776 acres, the oilfield includes five vertical wells that have been drilled and indicated strong commercial oil. Additional wells are being permitted and drilled every six days on average. Located in the Illinois Basin, along the Ohio River in Henderson County, the wells will be drilled to around 2,600 feet to reach the dolomitic limestone zone, which is a Mississippian rock system estimated to have provided 70% of the petroleum and 40% of the natural gas produced in Kentucky. Dolomites are important oil reservoir rocks because they usually have higher porosity than limestone. The formation has also shown encouraging levels of permeability and oil saturation and according to geological data, 23 additional wells could potentially be drilled on the target site. Illinois Basin has historically been among the most prolific sources of oil for the state of Kentucky, having produced more than 110 million barrels of oil since the mid-1950s. Today, it is still the biggest oil-producing county in Kentucky with hundreds of millions of oil barrels produced north and south of the Ohio River. 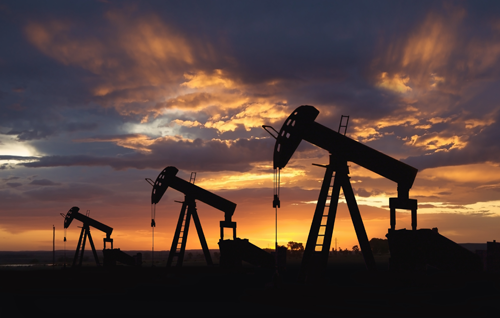 The financing of the oilfield in Kentucky marks the second investment for Gulf Energy in the U.S. and Canadian energy markets, the key geographic areas of focus for the company.